What The Fraud: There’s A Modi In The News & It’s Not Our PM! 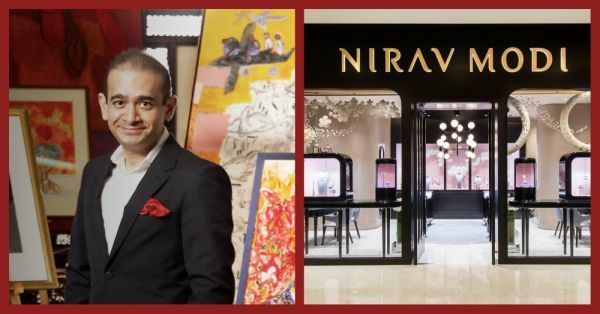 The face of the diamantaire and jewellery designer, Nirav Modi, has been popping up every few seconds on the newsfeed. So taking a pause from Pari and Taimur, we got down to serious business and tracked what’s causing these tremors of fraud and gossip. Nirav Modi is one of the country’s leading diamantaires and a luxury jewellery designer; often seen in dapper suits, hosting Bollywood biggies (Priyanka Chopra is the face of the brand) and ace businessmen. The Gujarati entrepreneur is the founder of Firestar Diamond and has 16 jewellery stores in cities, including Delhi, Mumbai, Singapore, Beijing, Hong Kong, London and New York. 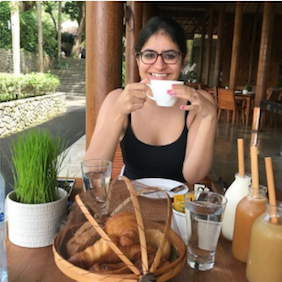 He grew up in Belgium in a diamantaire family; but, after dropping out of Wharton Business School, he came to India to get trained in the business of diamonds by his uncle, Mehul Choksi (also caught in the fraud tangle). He founded Firestar Diamond in 1999 to source unique diamonds and in 2014, launched his high-end boutique in Delhi and took the eponymous brand global. The 48-year-old designer has built a diamond empire and his designs sell for as much as Rs 50 crores. His net worth is US$1.73 billion and he’s the 85th richest man in India! And, he runs in high social circles. He may not be related to the man running our country, but he does have a connection with the US President Donald Trump—back in 2015, the American head of state inaugurated his store on Madison Avenue. Now the meat: Punjab National Bank has reported fraudulent transactions to the Central Bureau of Investigation (CBI) worth Rs 11,000 crores. And there’s no surprise here: they are all linked to the designer. Modi and his associates were issued unauthorised Letters of Undertakings (LoUs) by PNB that were encashed at overseas branches of Indian banks. The officials alleged that the diamond companies Diamonds R US, Solar Exports and Stellar Diamonds (Modi, his brother and wife are partners) cheated the bank with the help of the bank’s employees. The FIR was first lodged on January 16 for Rs 280.7 crores but the bank uncovered the rest on further investigation. Modi has done a Mallya—he has left the country. Meanwhile, the Enforcement Directorate (ED) is raiding his homes and offices and seizing documents as evidence. PNB’s shares have been plummeting and investors are losing big money. And the big news of the hour is that PeeCee has accused Modi of not paying her for the advertisement campaign that she did for the brand. Has Nirav Modi risen his way to his billions fraudulently? We’ll find out soon whether or not his business model is sustainable.